I’m a huge advocate of continuous learning and part of that learning involves reading personal development books. The world is always evolving and changing and, if we want to stay ahead of the curve and at the top of our game, then we have to be committed to learning something new each and every day. If you ever see my home office, you’ll find hundreds of books on a variety of different subjects. Reading—and applying what I read—has been a critical part of my success. I consider it one of my most important daily disciplines. I read for at least an hour a day—sometimes much more, like when I’m on a five-hour plane ride. I’ve read over 3,000 personal development books throughout the course of my life, but these recommendations I’m about to give you are books that I consistently keep coming back to because they offer timeless insight into how we can grow as individuals in every area of our lives. Here is my top 5 list of personal development books. the descriptions are from Amazon. For a review of each book watch my video above. The Compound Effect is based on the principle that decisions shape your destiny. Little, everyday decisions will either take you to the life you desire or to disaster by default. Darren Hardy, publisher of Success Magazine, presents The Compound Effect, a distillation of the fundamental principles that have guided the most phenomenal achievements in business, relationships, and beyond. This easy-to-use, step-by-step operating system allows you to multiply your success, chart your progress, and achieve any desire. If you’re serious about living an extraordinary life, use the power of The Compound Effect to create the success you want. You can get it here. 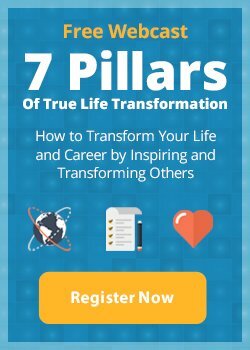 This is Napoleon Hill’s definitive landmark book (revised and updated for the 21st century) on how to unleash your full potential and achieve guaranteed success in life and work, by following the principles outlined in this book. This book will also teach you how to conquer many common fears, such as Poverty, Ill Health, Criticism, Loss of Love and Death. “Think and Grow Rich,” indispensable reading for personal achievement. Find it here. Author and entrepreneur Dennis Kimbro combines bestselling author Napolean Hill’s law of success with his own vast knowledge of business, contemporary affairs, and the vibrant culture of Black America to teach you the secrets to success used by scores of black Americans, including: Spike Lee, Jesse Jackson, Dr. Selma Burke, Oprah Winfrey, and many others. The result is inspiring, practical, clearly written, and totally workable. Use it to unlock the treasure you have always dreamed of–the treasure that at last is within your reach. Get your copy here. You want fewer distractions and less on your plate. The daily barrage of e-mails, texts, tweets, messages, and meetings distract you and stress you out. The simultaneous demands of work and family are taking a toll. And what’s the cost? Second-rate work, missed deadlines, smaller paychecks, fewer promotions–and lots of stress. You want more productivity from your work and more income for a better lifestyle. You want more satisfaction from life, and more time for yourself, your family, and your friends. Now you can have both. In The ONE Thing, you’ll learn to cut through the clutter to achieve better results in less time and build momentum toward your goal. You will learn how to dial down the stress, overcome that overwhelmed feeling , revive your energy, stay on track, and master what matters to you. The ONE Thing delivers extraordinary results in every area of your life–work, personal, family, and spiritual. Get it here. Forget the old concept of retirement and the rest of the deferred-life plan–there is no need to wait and every reason not to, especially in unpredictable economic times. Whether your dream is escaping the rat race, experiencing high-end world travel, earning a monthly five-figure income with zero management, or just living more and working less, The 4-Hour Workweek is the blueprint. You can get it here. The Biology of Belief is a groundbreaking work in the field of new biology, and it will forever change how you think about thinking. Through the research of Dr. Lipton and other leading-edge scientists, stunning new discoveries have been made about the interaction between your mind and body and the processes by which cells receive information. It shows that genes and DNA do not control our biology, that instead DNA is controlled by signals from outside the cell, including the energetic messages emanating from our thoughts. Using simple language, illustrations, humor, and everyday examples, he demonstrates how the new science of Epigenetics is revolutionizing our understanding of the link between mind and matter and the profound effects it has on our personal lives and the collective life of our species. Get your copy here. So now that you know a few of my favorite personal development books, I’d love to hear some of yours! I’m always looking for new reading material, so please share in the comments below at least one must-read book that’s helped change your life. Then share one book you plan to start reading this month to achieve your personal growth goals. Lay the foundation for a more joyful, abundant, and successful life by downloading the first 2 chapters of my New York Times Bestselling book The Success Principles. Discover how to produce only the outcomes you want to experience.